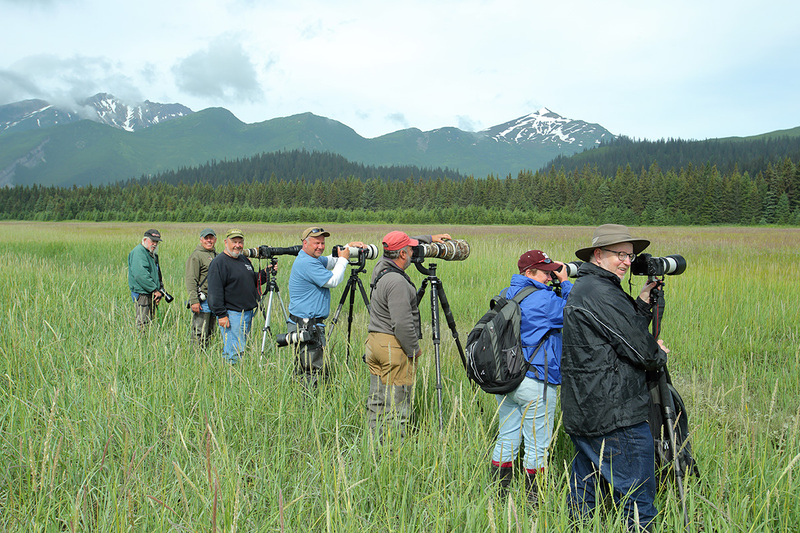 My 8th “Coastal Brown Bears of Alaska” photo tour from June 20th to the 26th was just amazing this year. 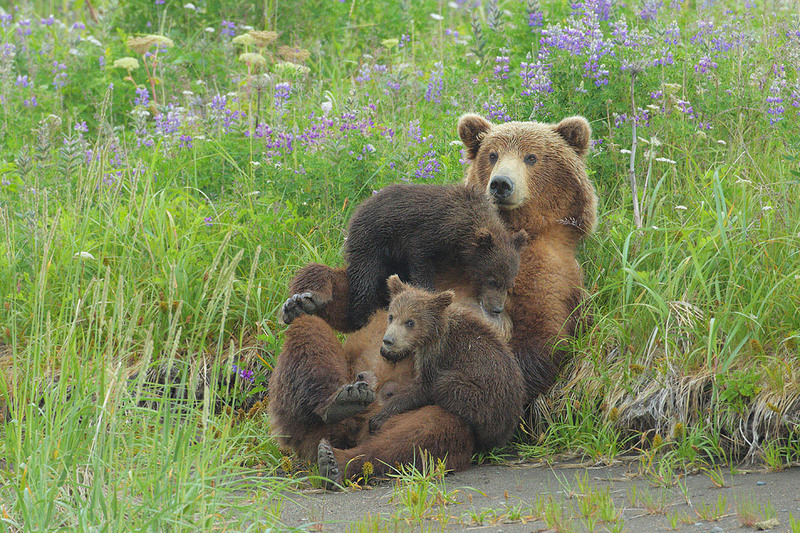 My trip was timed to see the mother bears showing up on their summer range with their newborn cubs. The sows tend to delay showing up in their summer haunts until the breeding season is finished up. 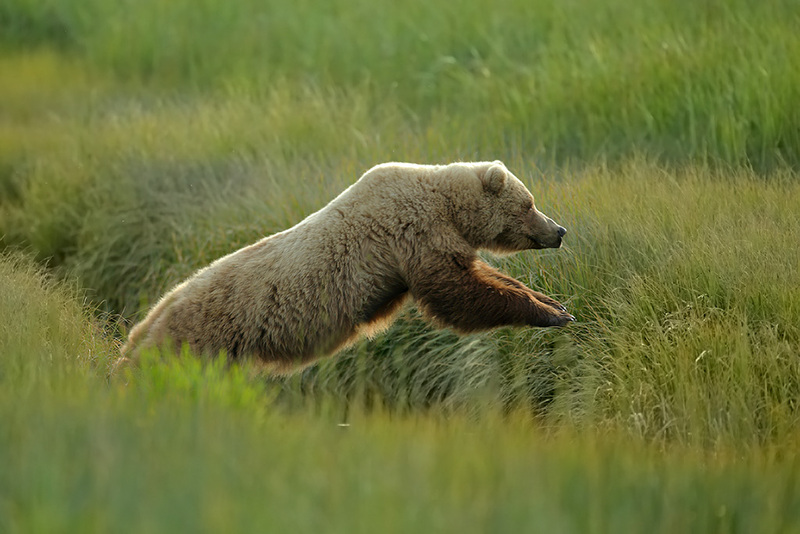 Large males can that come to the area to breed with available sows can be dangerous to the spring cubs. In fact one mother lost a cub to a boar just before we arrived. We had 3 sets of mothers and spring cubs this year. The cubs are born in the den in December/January and are quite tiny. 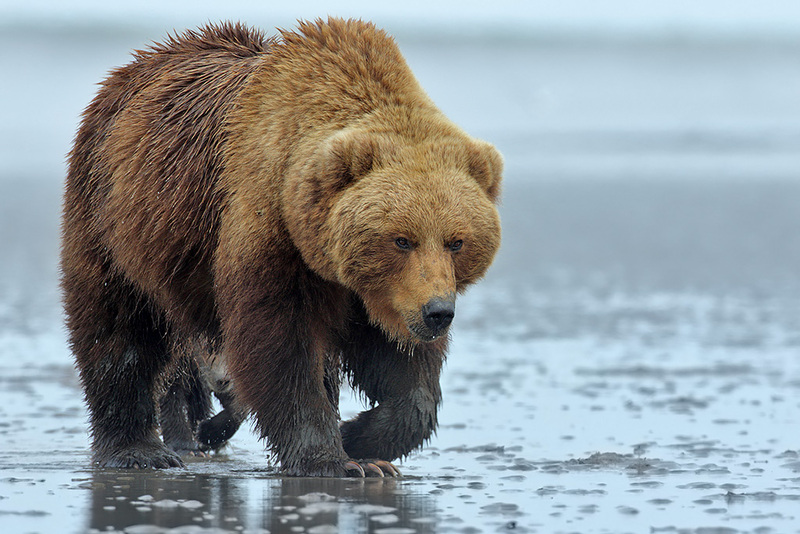 The guides were quite anxious about a well known bear that they knew was breed last spring but was involved in a viscous fight with another bear during the salmon fishing season. She had not yet been seen and they were concerned about her welfare. 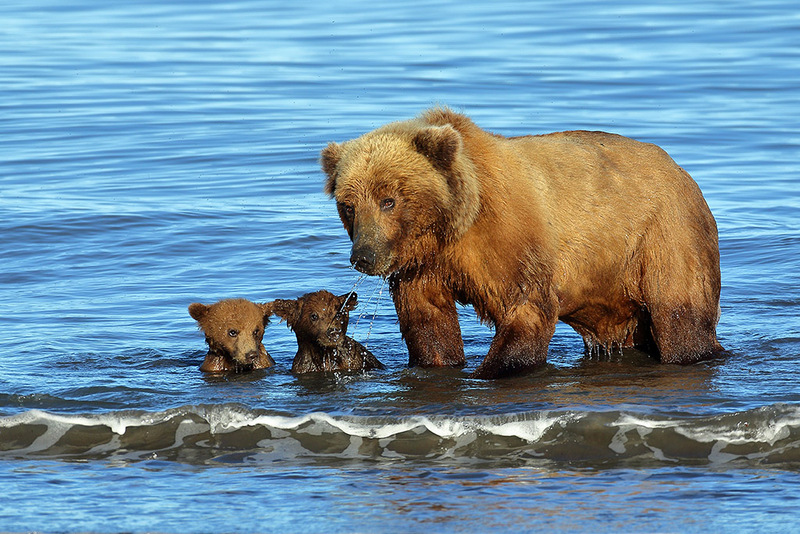 On our 4th day we spotted a bear with 3 tiny cubs walking along the beach. Our guide Brian quickly made the identification. It was the missing sow. She looked great and the cubs looked very healthy. We likely were the first humans these cubs had ever seen.. Very cool! 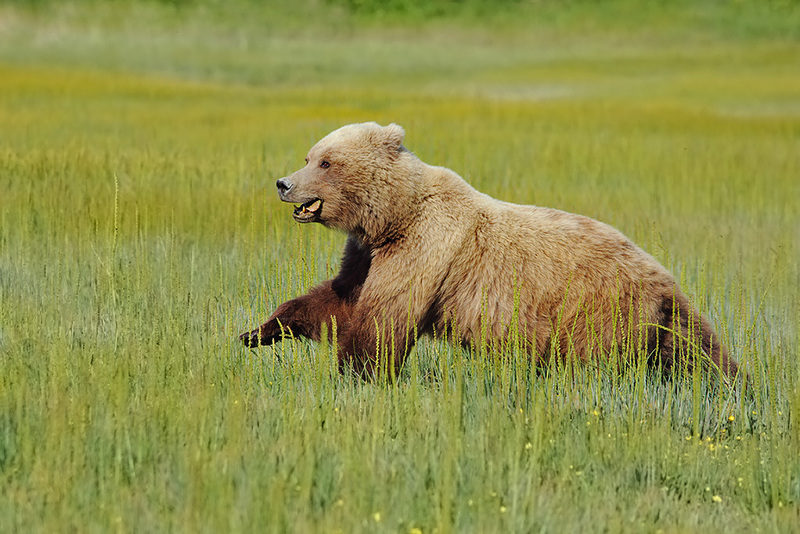 During the tour we saw 22 different bears including some large boars. 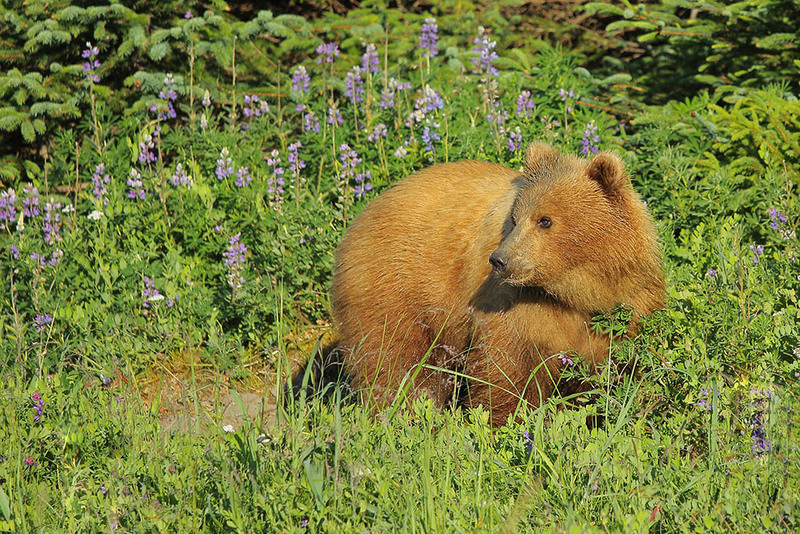 Bears were still showing up on their summer habitat and the area peaks in July for total bear numbers. I had 6 wonderful guests on this tour from as far away as Melbourne Australia. I’m sure you’ve all heard the adage about climbing a tree to escape an angry grizzly bear. Don’t believe it. 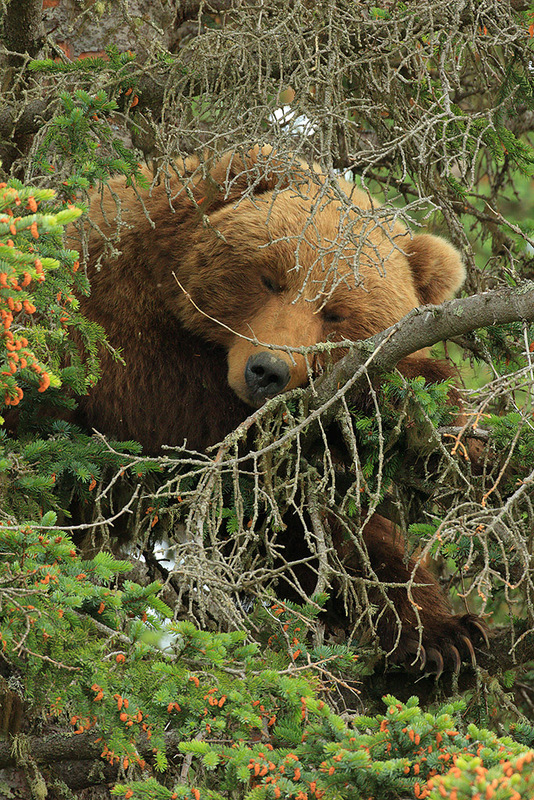 A grizzly bear can climb any tree you can climb just faster. 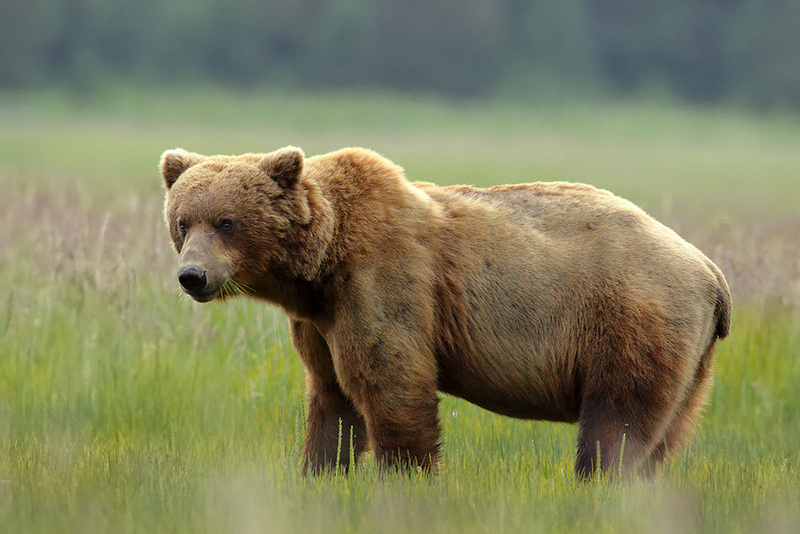 We had at least 3 different male bears in the area looking for females since it was the breeding season. The sows with cubs were vigilant. They didn’t want to be surprised by a large boar who could be a danger to the cubs. 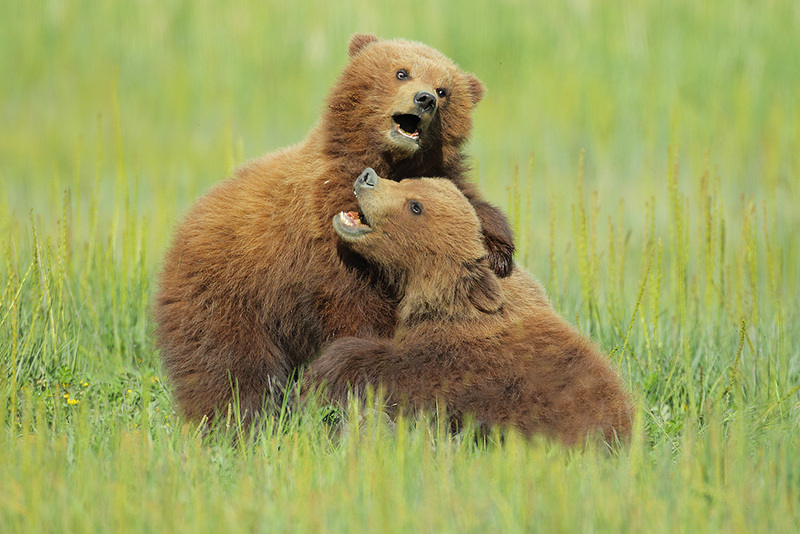 The cubs provided our group with great photo opportunities daily. 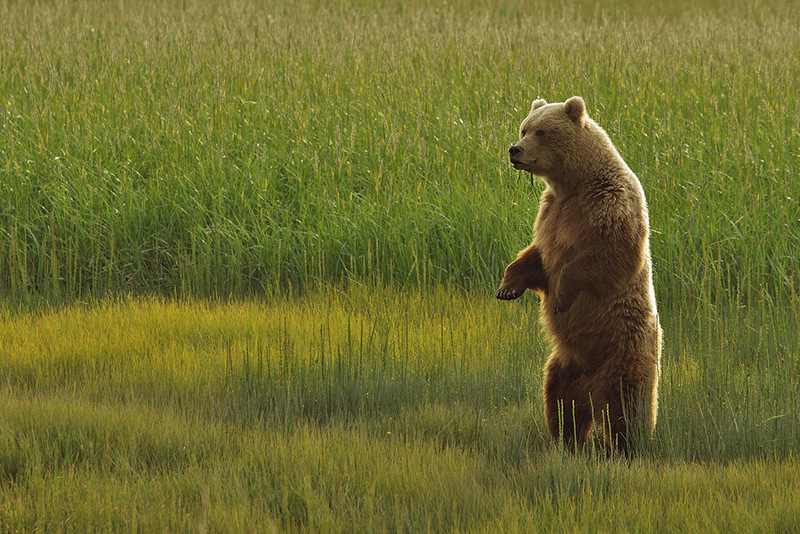 Cubs of the year are curious and playful. 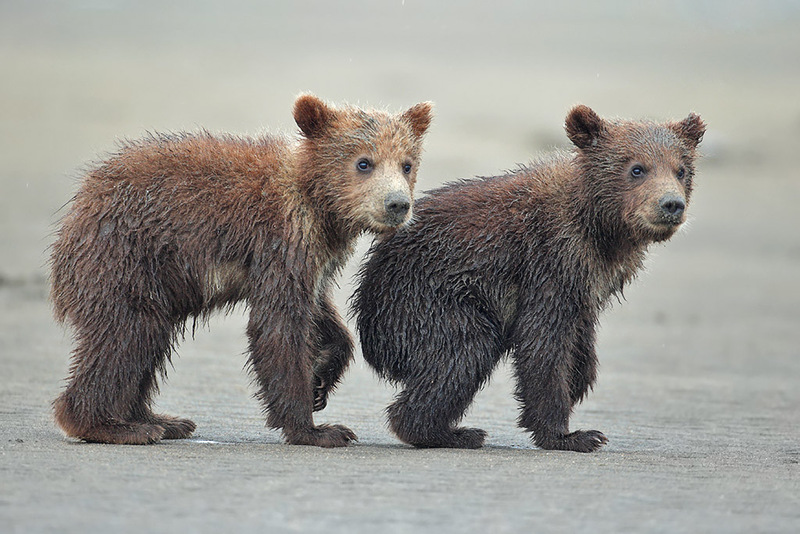 2nd year cubs look like teddy bears.